I had a 15-minute break from work one Saturday a couple of years ago and decided to spend it cruising through the flea market up the road, near where I live here in Maine. I’m an antique bottle digger and collector, and that’s what I generally hunt for at a flea market, but I’ll also look for anything I can buy and turn around and sell on eBay, or something I can use to trade for bottles. I was walking at a brisk pace, almost jogging, and passed a table with a peanut butter jar full of marbles. It was obvious that they were modern marbles, but my eye caught a glimpse of something in the jar that actually made me skid to a stop on the dusty path. 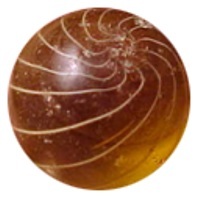 One of the hundred or so marbles in the jar, right in the front, in plain view, was a deep amber color that looked very familiar. 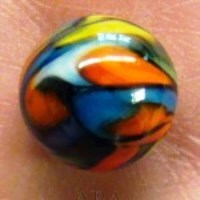 When it comes to antique marbles, I know “just enough to get me in trouble,” as the saying goes. But just days before, I had been at a different flea market in Rowley, Mass., and was talking to a very knowledgeable dealer who sets up there every week. He’s nice enough to answer all the marble questions that I ask of him and, as a courtesy, I always buy something from him just to give him the business. 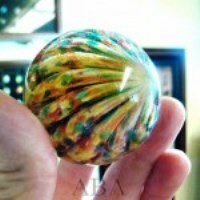 One of the marbles that dealer had on his table really caught my eye. 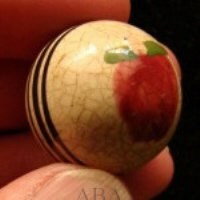 It was a Gooseberry Swirl marble. I didn’t buy one from him, because the ones he had were priced at between $75 and $125 each. I picked up the peanut butter jar at the flea market table, and sure enough, the marble I had seen had that same glowing, dark-honey amber color with yellow swirling strands twisting around its center. It was a Gooseberry! I asked the dealer “how much for the jar of marbles?” He said five bucks, which made for a very quick sale. I took the jar out to my truck and opened the lid, and poured out the marbles on the console between the seats, so I could find the Gooseberry. To my amazement, I found another one in the mix, and then another and another. As I fished through the pile, I wound up finding a total of eight Gooseberries, including two oversized marbles of almost a half inch in diameter each. They were all in perfect condition and I wound up selling them over the following months for more than $800. 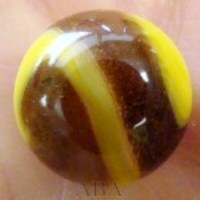 I had always loved glass marbles, as well as simple primitive clay marbles that I would come across in my years of digging and scuba diving for antique bottles. But this experience added some juice to my interest; the bonus possibility of finding marbles that were really valuable, not just interesting and beautiful. One of the top companies you’ll ever find for purchasing or selling antique American bottles is Sacramento-based American Bottle Auction. As an avid bottle collector, I have found the people there great to deal with and very approachable. They tend to offer top-quality American bottles in a wide range of values in the most interesting of bottle categories. 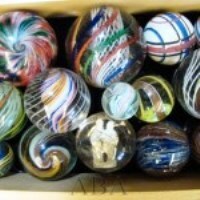 I was recently informed of the exciting news that on Sept. 20, 2013, American Bottle Auction will be offering what sounds like it will be a terrific selection of antique marbles. If you go to its website, you’ll find information about the company, with bottle auction completed auction catalogs to peruse, and plenty of other information and photographs. 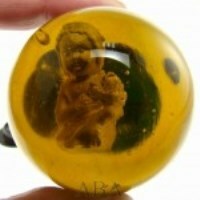 I look forward to seeing many marbles like the ones pictured in this article being offered at its September auction.